Whether you're looking to deepen engagement, build loyalty, or simply boost your sales, we've got the upgrade for you. Reach students on their most engaged platform – mobile. Segment results by class affiliation, location, time, etc. Keep your best customers coming back for more! Let students earn rewards redeemable for future purchases. Let students & faculty discover & buy tickets to the best events on campus. Want fries with that? How about a croissant with your coffee? Customize your add-on selling & we'll integrate it seamlessly into the checkout experience. Receive regular reports with data & trends on your students' purchasing behaviors – both on & off campus. Work with a Tapingo operations expert on site to advise on your campus rollout plan. Advertise to your students! Promote local events, offers, meal plans, new stores, jobs, and much more. Take advantage of 24/7 support with VIP privileges. Thank you! One of our campus representatives will be in touch shortly. Deepen engagement with your students using Tapingo’s powerful premium tools. Whatever your goals, we’ve got the features to help you achieve them. Understand how your core customers think and what makes them tick. 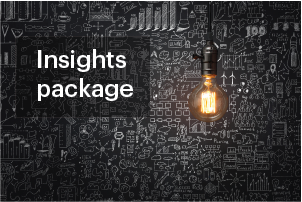 This package has everything you need to make intelligent, data-driven decisions. Excite and motivate your customers by providing them with exceptional value, rich communication, and a wealth of purchasing opportunities. Expand your reach & deepen engagement by providing a range of goods and services to your customers. What upgrade are you interested in? Thank you for your interest in upgrading! One of our campus partner representatives will be in touch right away. 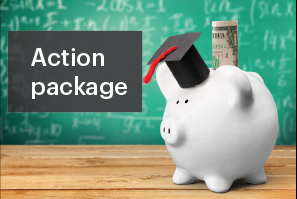 Our Platinum Package is designed specifically for independent merchants who want to bolster awareness and sales to the college demographic. 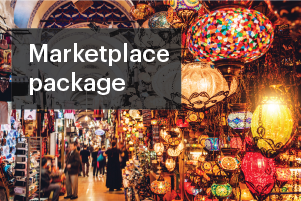 From premium placement of your store in the app to competitive insights that let you learn from market, this package will empower you to drive traffic and sales to your doorstep. Thank you for your interest in upgrading to Platinum! Our merchant relations team will be in touch with you shortly.